Vegan sugar free lollies with no synthetic ingredients and free from gluten! 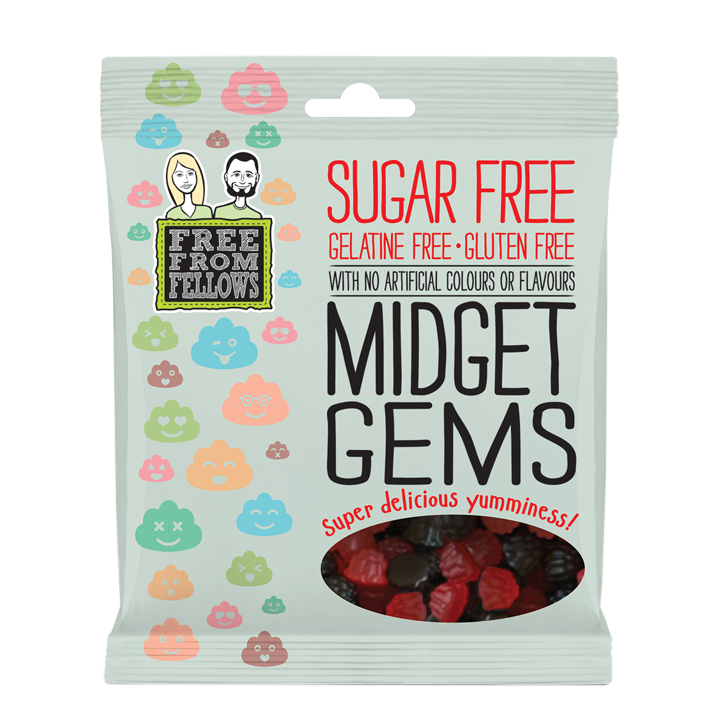 Sugar-free, gelatine-free (vegan), gluten-free & free from artificial flavours and colours. These little English classics pack a powerful fruity punch! Ingredients: Sweetener: Maltitol syrup; maize starch, water, acid: citric acid; natural flavours, vegetable oil (coconut and rapeseed), glazing agent: carnauba wax, natural colours: vegetable carbon, black carrot juice concentrate; sweetener: steviol glycosides.